A debt settlement company is a for-profit company that negotiates with creditors to allow you to make a lump sum payment to your creditors that is less than the full amount that you owe. 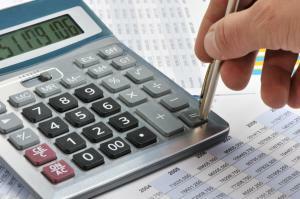 Choosing a debt settlement company requires investigating the company and examining your needs. National Debt Relief is accredited by the Better Business Bureau (BBB), a member of the American Fair Credit Council (AFCC), and a member of the U.S. Chamber of Commerce. It is also accredited by the International Association of Professional Debt Arbitrators. National Debt Relief was the first company to be accredited by the AFCC, BBB, and IAPDA. It is ranked the number one debt settlement company by Top Ten Reviews. Cura Debt is a member of the AFCC and the US Chamber of Commerce. It is ranked the first best debt relief company in the nation by The Top Tens. Additionally, in 2013 Cura Debt was recognized as the top debt relief company in the nation by TopConsumerReviews.com. Debtmerica Relief is also ranked among the top ten debt settlement companies by Top Ten Reviews, which also reviewed the company as being one of the most upfront and honest debt relief companies in the nation. Debtmerica Relief is a member of the AFCC and has no complaints filed against it with the BBB. There is a three step process to investigating debt settlement companies. These steps help you identify the companies that are more reliable, are licensed, and engage in fair practices. Once you have selected a few companies, the Federal Trade Commission (FTC) recommends that you check out the company's history and information with your attorney general and local consumer protection agency. USA.gov provides the contact information for each state's attorney general and division of consumer protection. You can call these agencies' offices to determine whether any complaints have been filed against the company and if the company possesses an up-to-date license to operate within your state. You can also check a company's licensure status and consumer reviews on the BBB website. This will let you know whether a company has received complaints and is BBB-accredited. Determine whether the company is a member of the AFCC. The AFCC establishes a code of conduct for debt settlement companies that must be met before membership is granted and must continue to be met for membership to be maintained. Cost: The company must specify its fees and fee structure. Exclusions and conditions: The company must explain any conditions and exclusions that apply to its services. Time: The company must tell consumers how many months or years must pass before it will make an offer to the consumer's creditors. Savings: Debt settlement companies usually require consumers to save money to pay any future negotiated settlement amount. According to the law, the company must tell consumers the exact amount or percent of debt that must be saved before it will make an offer to settle a debt with a creditor. Repercussions: Many debt settlement companies ask consumers who sign up for their services to stop making debt payments. Since doing so can have serious negative consequences on the consumer's credit report and score, debt settlement companies are required to detail all the potential negative consequences of not paying a debt. Ownership and withdrawal of funds: Companies must explain to the consumer that the consumer owns any funds deposited into escrow accounts to pay a settlement as well as any interest earned. The company must also explain that the consumer can withdraw escrowed funds at any time without incurring a penalty. A company that does not provide this information in an interview or meeting is not meeting legal requirements. If you encounter a company that does not provide this information, seriously consider whether you are comfortable working with the company. How long the company has been in operation: Debt settlement companies can only describe the successes of previous customers. A newly created company or a company that doesn't have a main focus of settling debt will likely not have much prior experience to boast of. If a company cannot provide extensive information about their prior successes, consider another company. How your estimated savings are calculated: The law requires that the company tell you how much you are required to save, but not how it derived that amount. Ask for an explanation of the formula used to calculate your required savings. Who holds your escrow payment: Inquire into who is responsible for managing any escrow payments you make. Also ask how you can contact that person and how they are affiliated with the company. The next steps: Ask the company what it will do immediately upon signing you as a client. This will provide you with details about what to expect in the process. Determine which company employee is to be your main contact and how often you can expect to hear from him or her. This will tell you whether one or multiple employees will be working on your case. Multiple employees may make the process more convoluted and confuse creditors during the negotiation process. Steering clear of companies that make these or similar promises decreases your chances of being scammed. When choosing a debt settlement company to help you, choose the one that meets legal requirements and makes you feel comfortable with the services they offer. Transparency is important in debt settlement situations, so ensure that you fully understand what the company can do for you, how much it will cost, and how much time it will take.